A teenager's been jailed for life for the murder of Kenichi Phillips in Birmingham. The 18-year-old was shot as he sat in a car in Ladywood in March. 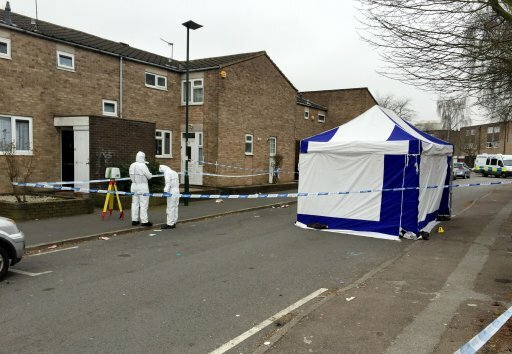 Disharn Downie from Bartley Green, who was 17 at the time of the killing, will serve a minimum of 21 years. 37-year-old Dean Silvera from Druids Heath has also been jailed this afternoon for assisting an offender. Sentencing Downie - now 18 - to detention for life, Judge Patrick Thomas QC said while he was believed to have been one of two men thought to have fired the fatal shot, his intent had been to kill. During the trial, earlier this year, prosecutors had claimed the shooting had been a drugs turf war killing. The judge told Downie his victim, who had been for a job interview earlier that day, was "a young man with his life before him'' and had been "utterly defenceless'' when he was shot at point blank range. Mr Phillips was sitting in the front passenger seat of a Seat Ibiza parked in St Mark's Crescent, Birmingham, when there was a verbal exchange with his killer. The victim, whose first child was due to be born in the summer, wound the window up, but was then shot through the glass with the bullet hitting his jaw and neck. Another shot was fired at a back seat passenger, missing the man and also Mr Phillips' brother, who was sat in the driver's seat. All three of the car's occupants then fled the scene on foot, with further shots fired after them. But Mr Phillips collapsed in a nearby alleyway and later died, the lethal bullet having severed an artery. Downie was found guilty at Birmingham Crown Court after trial of murder, attempted murder, two charges or possessing a firearm with intent to endanger life and a separate offence of robbery. Dean Silvera was convicted of assisting an offender but cleared of murder, attempted murder, attempting grievous bodily harm and two counts of possession of a gun. He was jailed for seven and a half years, after a jury found that he had driven one or both of the shooters from the crime scene.